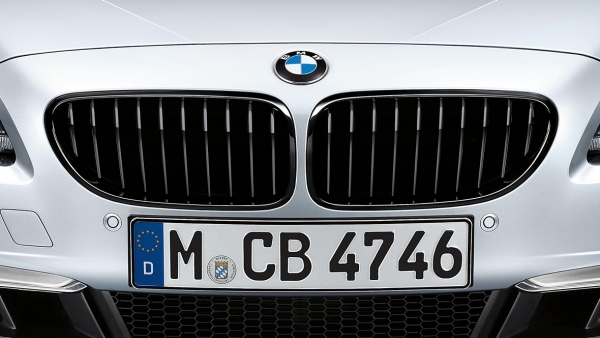 These high-gloss black kidney grilles enhance the distinctive and dynamic character of the BMW 6 Series. 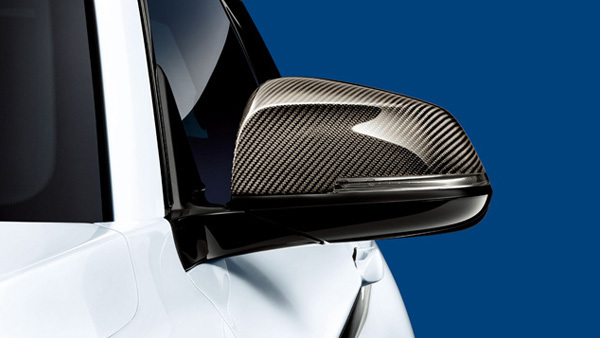 The striking rear spoiler in Carbon underlines the vehicle’s motorsport styling. 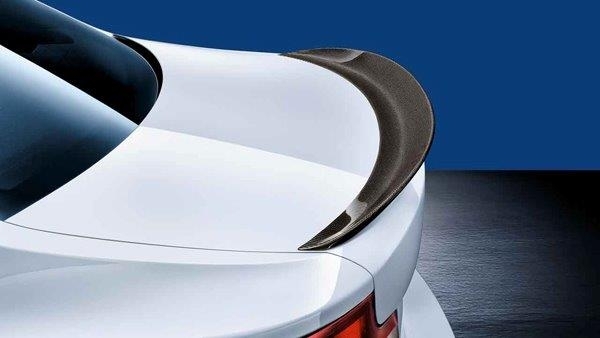 It also improves aerodynamics and track-style handling. 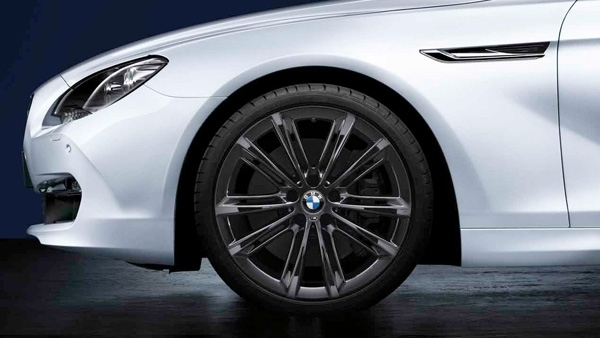 Weight-optimized, alloy wheels with M logo in an exclusive bi-color design. High gloss-turned finish on the face and Liquid Black paint between the spokes are protected from corrosion with a clear coat. 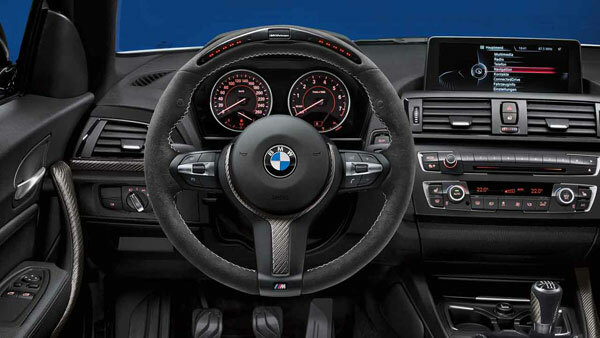 This wheel/tire combination is the largest size approved by BMW. This complete mounted and balanced wheel set includes four wheels with Bridgestone Potenza RE050 A* RFT tires. Front Wheels: 8.5J x 20 Offset: 33 EH2+ / Rear Wheels: 9J x 20 Offset: 44 EH2+. Front Tires: 245/35 R20 95Y / Rear Tires: 275/30 R20 97Y. Driving over rough or damaged road surfaces, as well as debris, curbs and other obstacles can cause serious damage to wheels, tires and suspension parts. 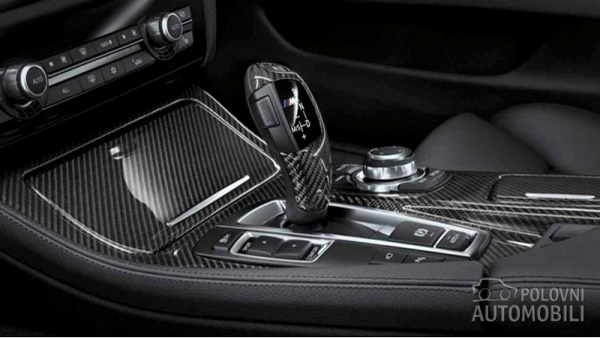 This is more likely to occur with low-profile tires, which provide less cushioning between the wheel and the road. Be careful to avoid road hazards and reduce your speed, especially if your vehicle is equipped with low-profile tires.